Even though the BMW Group has said it would not shut down its factories in the United Kingdom in light of the looming Brexit, its facilities will still face a temporary disruption immediately after March 29, 2019, the day the UK is scheduled to leave the European Union (EU). 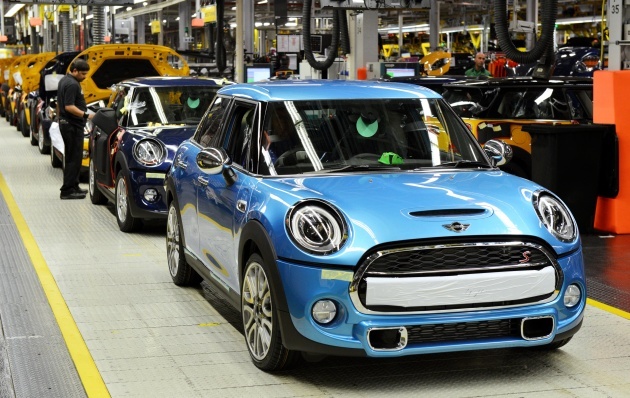 The facilities involved include MINI’s Oxford plant, which will halt production for four weeks, while Rolls-Royce’s Goodwood facility will cease operations for two weeks. The move is due to the uncertainty around Brexit and to minimise potential supply chain interruptions during UK’s exit from the EU. “While we believe this worst case scenario is an unlikely outcome, we have to plan for it. We remain committed to our operations in Britain, which is the only country in the world where we manufacture for all three of our automotive brands,” it adds. A damn good time to upgrade their families factories. It’s hard to shut down production and this serves the perfect time to. Was shocked by the misleading headline.